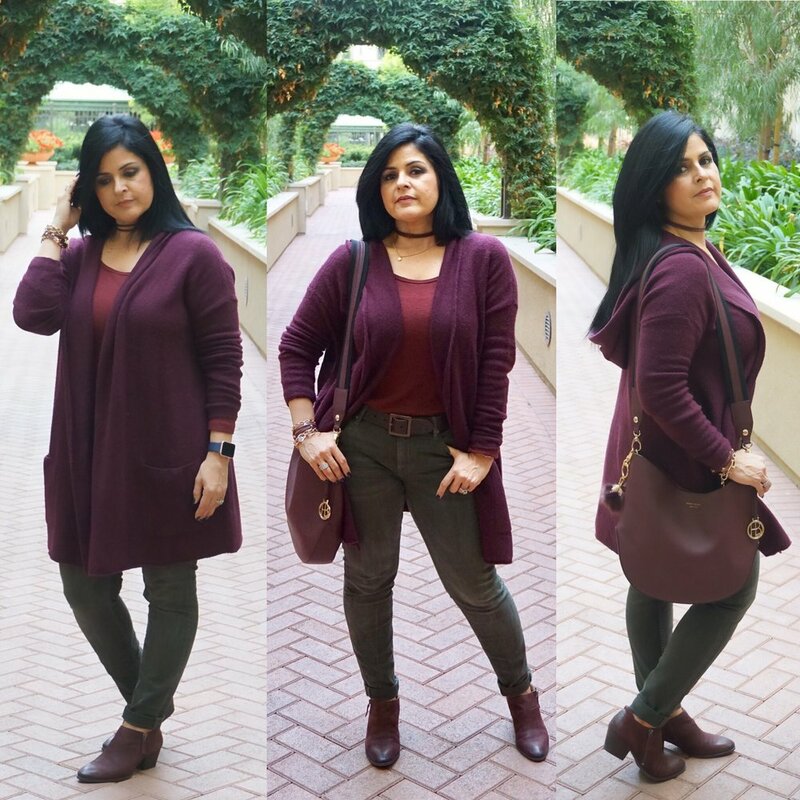 My outfit of the day today, burgundy, wine and olive hues. These Vigoss Chelsea Skinny jeans are amazing. These jeans are high-waisted with stretch and curve hugging fit. This burgundy oversized BP sweater from Nordstrom is so warm, soft and comfy. This type of oversized sweaters go great with skinny jeans and leggings. I found these chelsea style booties at TJMaxx, but they are sold out. I did attach a link to a like pair of burgundy Franco Sarto 'Garfield' Western Bootie available at Nordstrom. This Henri Bendel West 57th Avenue Crossbody was a gift from my daughter-in-law which was a perfect match with my booties. Also, my Petal Triple Wrap Bracelet was a perfect match. The bracelet is not available in the wine leather, but there are a few other colors to choose from.